We develop customizations of our product to help the customer create a digital model of their automation system. Custom development of specific components. Integration and connectivity of devices with the client corporate software. 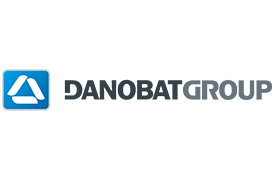 Oretek has worked for Danobat on supplying an automatic maintenance line for an Australian company, which is a leader in the mining sector. We participated actively in the development of the software solution that controls the production from the design phase through the commissioning. The project consisted of building an automated line to repair iron ore cars at a speed of 1 every 33 minutes. The line is made up of automatic machines, stations managed by operators with their respective HMIs, it uses gantries and AGVs for moving components and spares. The Software manages hundreds of combinations in repair flows, it controls user access to the stations, it manages reports generated by stations, events generated by PLCs, it manages transports orders, and it supervises the status of all the elements in the plant. Receive events, statuses, messages and results from elements integrated into the solution. Capture and store reports generated by the automatic machines. Access control and user permissions. Manage spares in the warehouse. Oretek can adapt to the client's way of working and we provide professional services that depend 100% on their needs.